The second, or “stage II,” Millennium Challenge Corporation threshold program with Paraguay built upon the substantial achievements of the initial threshold program. It targeted improved performance on the Control of Corruption and Rule of Law Indicators on the scorecard MCC produces to determine elibility for a compact. The $30.3 million program focused on anti-corruption efforts in law enforcement, customs, and the healthcare, and judicial sectors. The objective of the program was not only to reduce opportunities for corruption and increase successful prosecution of wrongdoers, but also to improve public opinion of the government’s efforts in these areas and to reinforce Paraguay’s commitment to combating corruption. To improve internal control mechanisms in Paraguay public institutions by expanding the use and impact of the Standardized Model of Internal Control in public institutions, in particular at the Ministry of Health, and expanding the Integrated Financial Management System’s coverage and integration with other systems. Implemented the Standardized Model of Internal Control through training and technical support, including the Ministry of Health, the Customs Office, and the judiciary. Developed a system to track key findings and audit recommendations. Provided technical assistance to promote civil society participation and improve the mechanism to receive and process citizen complaints. Expanded the Integrated Financial Management System to cover additional entities, including local governments. Provided information technology support to improve the Ministry of Health procurement system. Established a management unit to oversee the storage and distribution system of the Ministry of Health. Held public hearings and increased avenues for filing complaints as a part of the communication campaign. To reduce corruption in the judiciary by strengthening its disciplinary, internal control, and financial systems, and to improve the judiciary’s ability to dispose of corruption cases at the administrative tribunals. Implemented internal control mechanisms in the judiciary. Standardized administrative procedures and quality management systems in the judiciary’s General Internal Audit Office. Conducted organizational and regulatory reforms in the Administrative Tribunal. Designed and implemented awareness campaigns on judicial reforms targeted toward judges, judicial staff, lawyers, public notaries, and nongovernmental organizations. To increase the capacity of the Customs Office in order to fight smuggling and tax evasion. Established a central base of operations for the anti-smuggling offices in Asunción, in addition to the development of branch offices and a database for tracking investigations and seizures. Increased the number of audits conducted, and digitalize cargo manifests and records of depositories. Implemented the Standardized Model of Internal Control in the main offices of the Customs Office, and established a specialized team for internal investigations. Implemented a one-stop shop mechanism for the import and export of goods. Implemented awareness campaigns on the progress of reform and established a central office for complaints. To increase the investigative capacity of the Prosecutor’s Office to address highly-complex corruption cases. Improved the capacity of the Economic Crimes and Anti-Corruption Unit through training, creation and coordination of task forces, and improved connectivity systems. Implemented internal control systems in the Prosecutor’s Office and its Disciplinary Office. Expanded the capabilities of the Forensic Laboratory and provide technical assistance to its personnel and management. Restructured the Office of Crimes against Intellectual Property Rights. To increase transparency and integrity within the National Police, to reduce corruption within the National Police by strengthening internal control and disciplinary mechanisms, and to improve services provided by the National Police. Reformed the selection, evaluation, management and training of the National Police. Implemented the Standardized Model of Internal Control through drafting of procedural manuals and job descriptions, and increase transparency in senior management. Conducted an assessment of the current police communication system in Asunción, and provide priority systems to improve response services. Developed and implemented communication and civic education activities on reforms, including procedures and mechanisms for filling complaints. 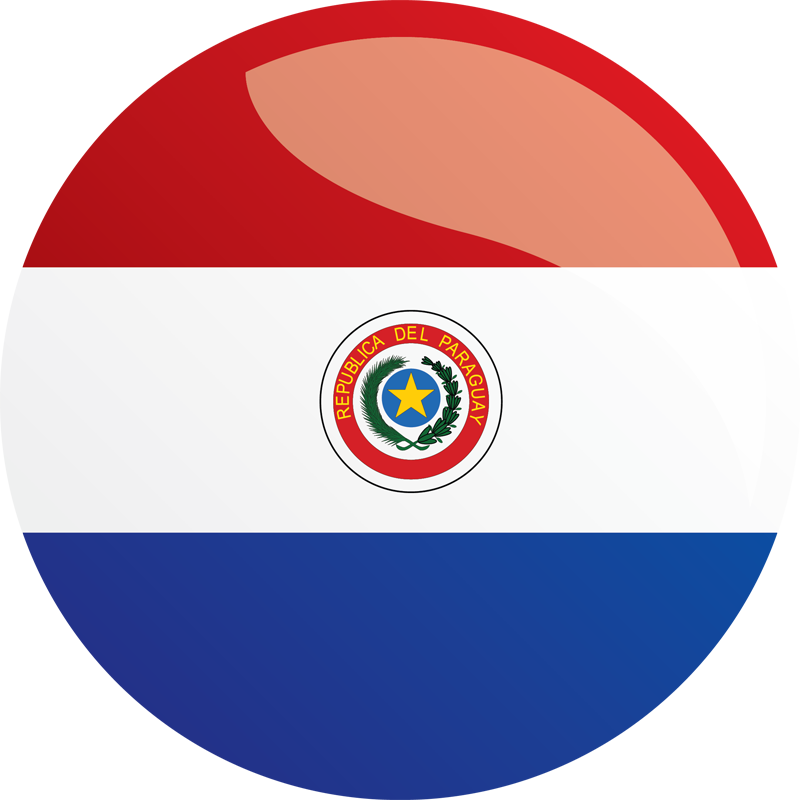 To strengthen Paraguay’s fight against counterfeiting and violations of intellectual property rights, thereby reducing corruption in these areas. Provided technical assistance for organizational and structural reform of the Specialized Technical Unit, including creation of a regional office in Ciudad del Este. Promoted citizen participation through a whistler-blower program and a civic education strategy. Created a mechanism to improve coordination with relevant institutions.